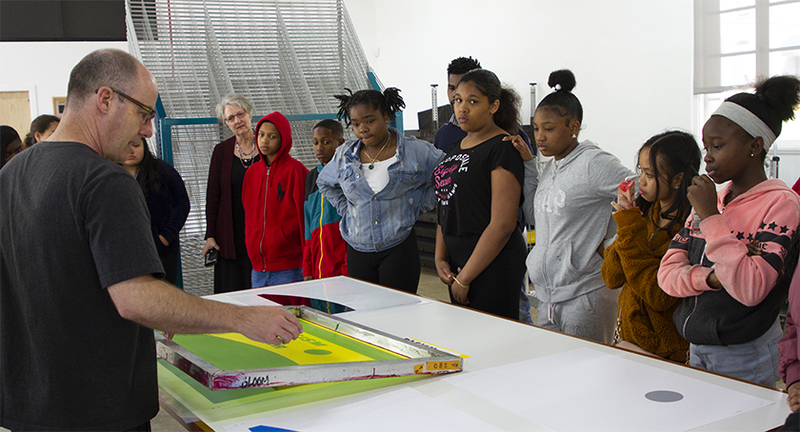 On March 29, 18 students from Bayside Martin Luther King, Jr. Academy in Marin City visited the Haight Street Art Center in San Francisco. 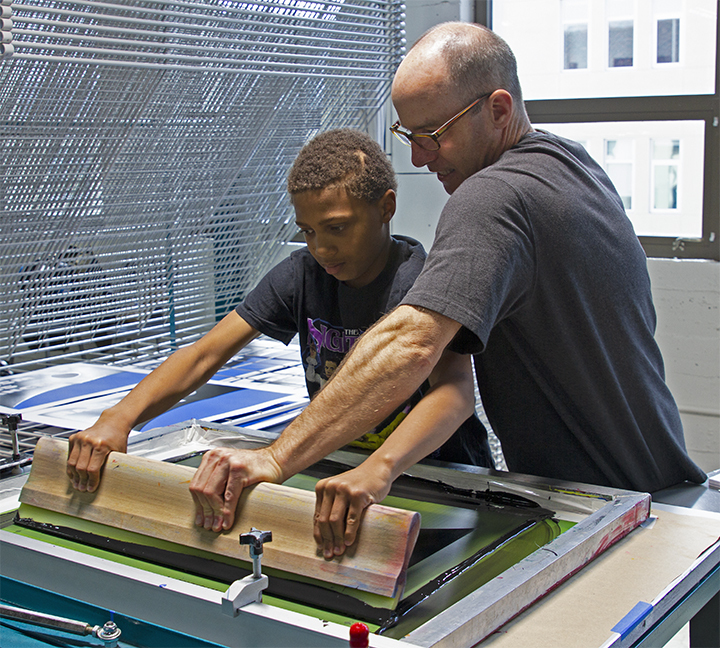 Working with three resident artists, the students learned how to design and print an original silkscreen poster. 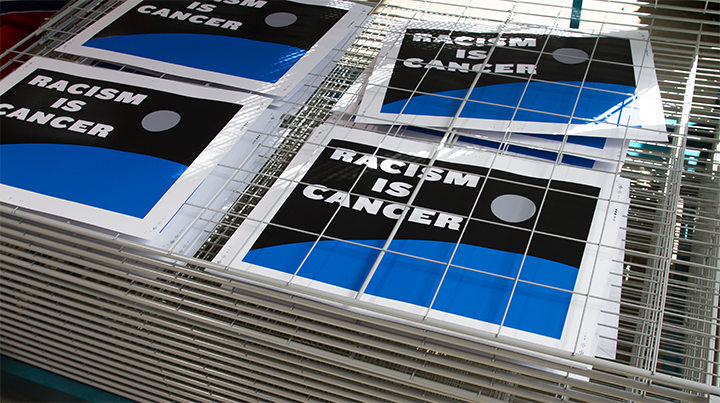 The poster, titled Racism is Cancer, will be given to each student once dried and trimmed. 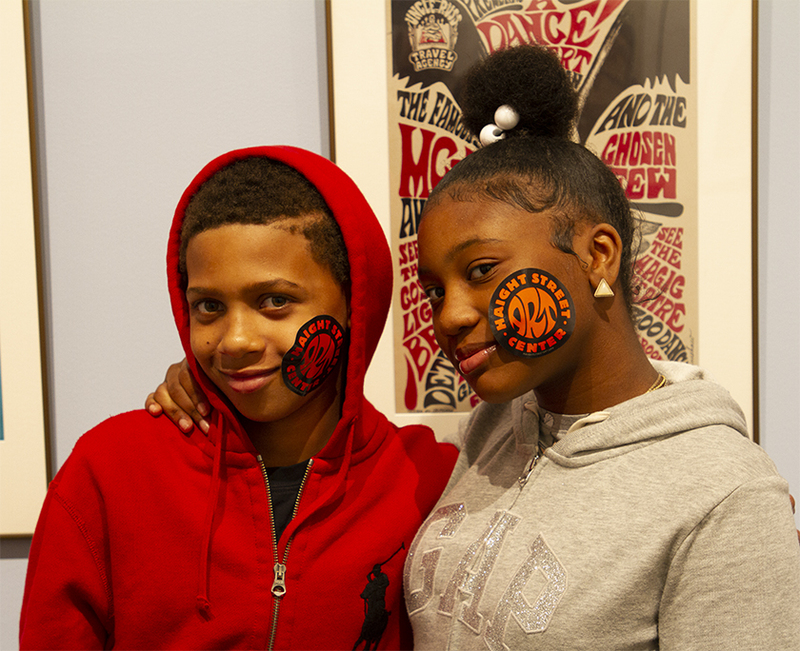 It was the first field trip offered by the Youth Poster Contest working with our partner Haight Street Art Center. Italia Krahling, art teacher stated: "What an AMAZING workshop that was! The students were engaged and excited the entire time. John helped them refine their ideas and convey a powerful message. 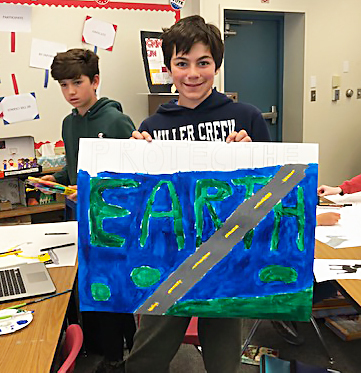 I love that John's work helps demonstrate for students the connection between art, history, politics, social justice, etc." 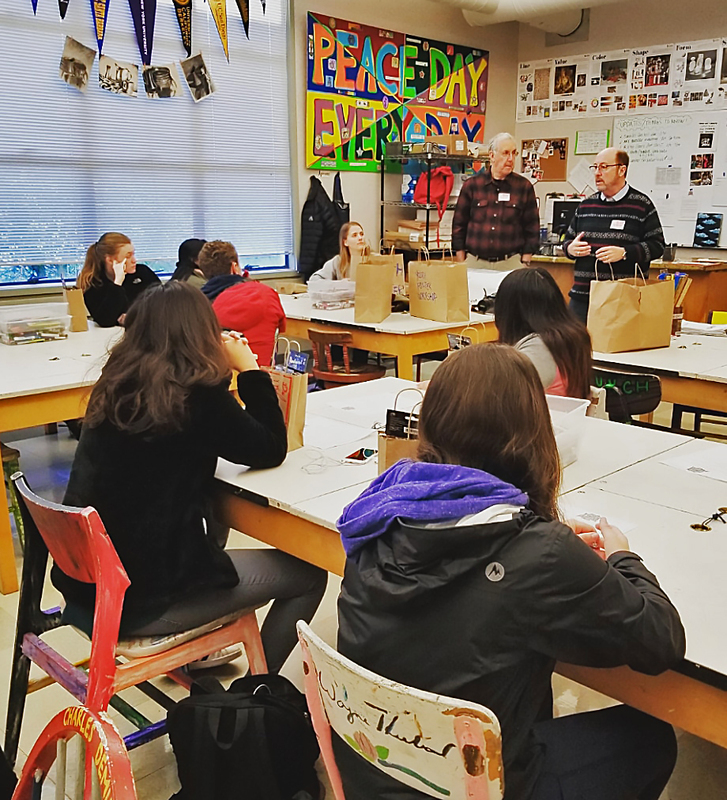 Free Art Poster Workshop a Great Success! 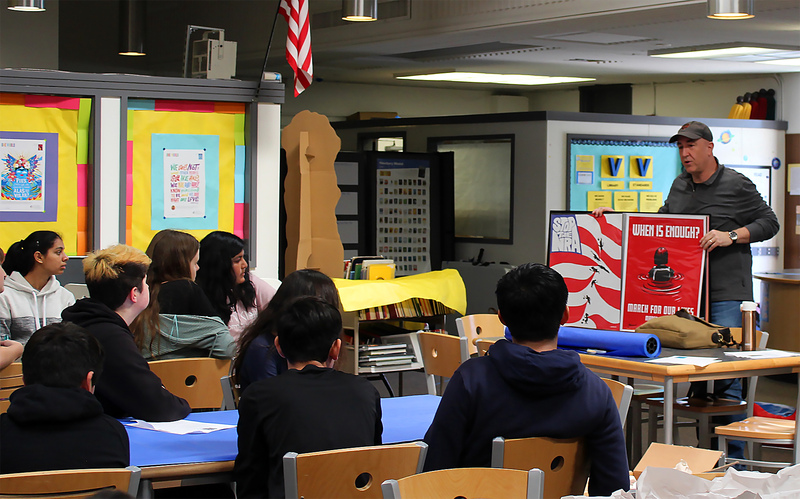 On February 5 we held the first of our free in-school art poster workshops at San Rafael High School. 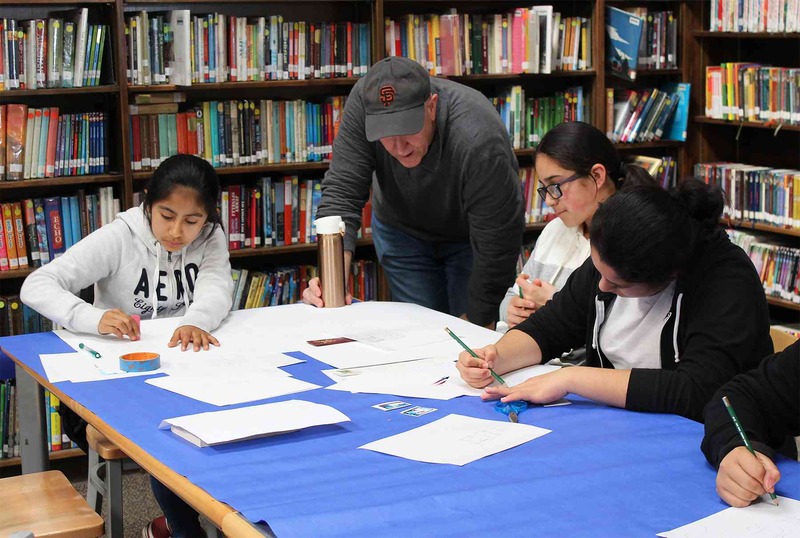 Our guest instructor was Brian Narelle, a political cartoonist for the Union of Concerned Scientists, Earth Island Institute and instructor at the Charles Schultz Cartoon Museum. 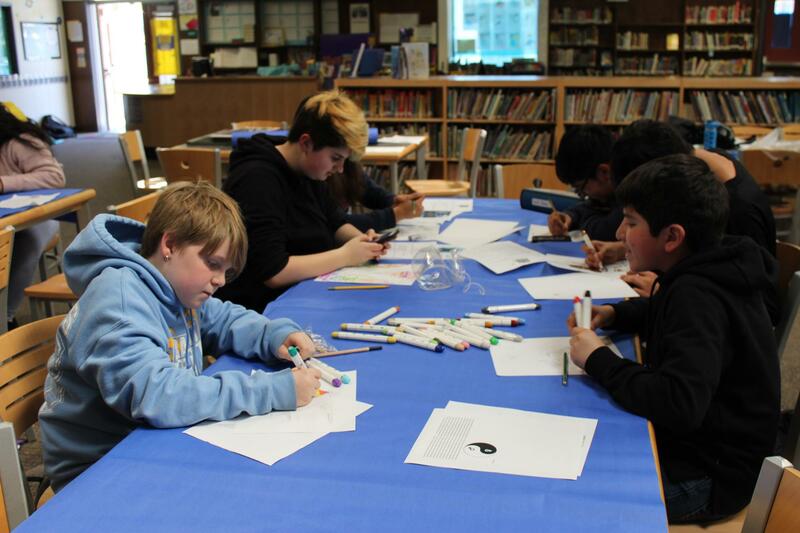 21 students, under the direction of art teacher Annie Yi, took part in this highly creative workshop. 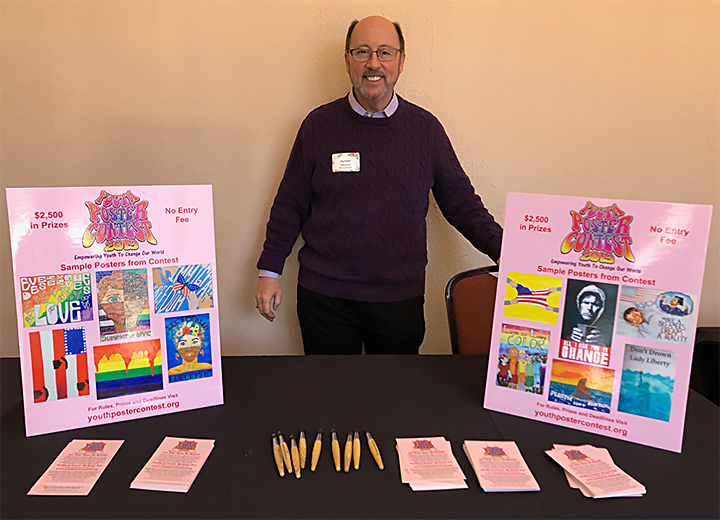 On March 31, the Youth Poster Contest participated in the Marin Teen Girl Conference at the Embassy Suites Hotel in San Rafael. Approximately 300 girls, ages 12-18, attended this amazing conference. We set up an exhibitor's table, spoke to many, many girls about the contest and passed out really cool paintbrush pens with our website printed on the barrel. It was a great way to engage a large group of our Marin target audience. San Rafael on April 4th. 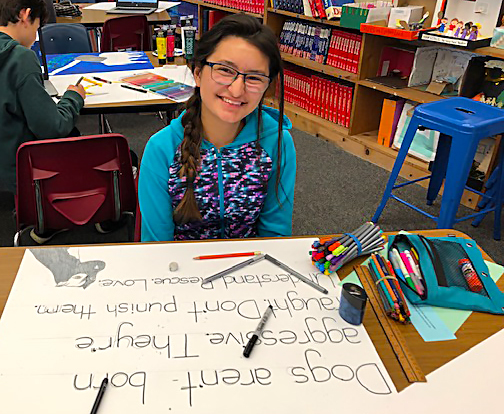 Art teacher Janai Meschery had her class of 22 studenst well-prepared with ideas for their posters. The room was alive with creativity. 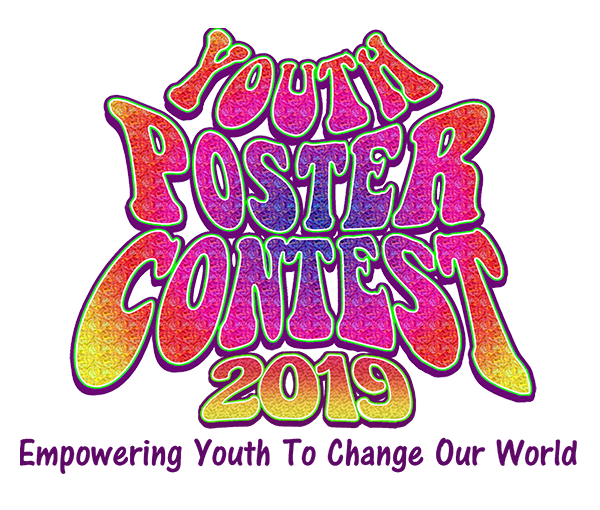 The students will finish their posters and submit them by the May 10th deadline.